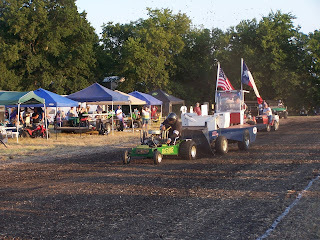 LSGTPA pulling teams rolled into Blue Ridge, Texas for the Bill Halter Memorial Tractor Pull on a hot August evening. 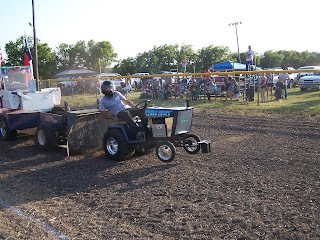 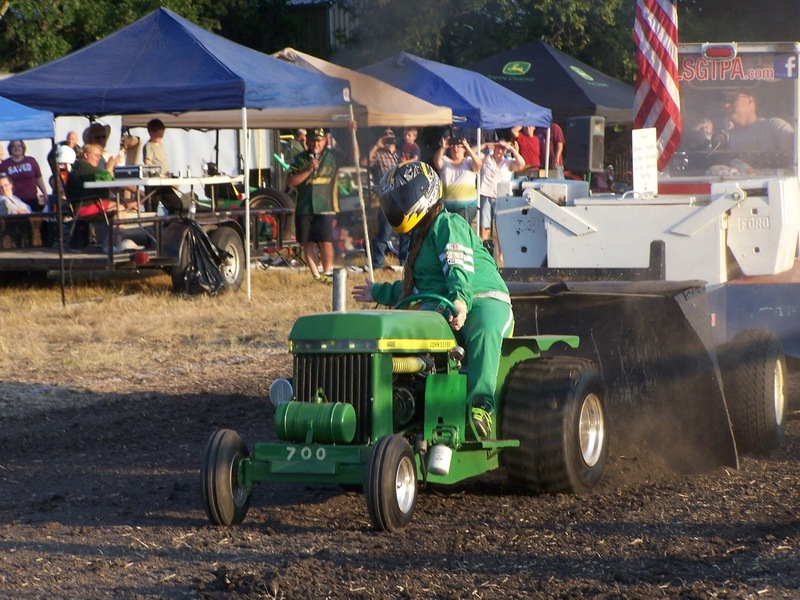 Originally named Pull N' Tug, the area around Blue Ridge is a part of the blackland prairie ecoregion of Texas, and the blackland track was in great condition for LSGTPA pull and tug action from the tractor pulling teams. 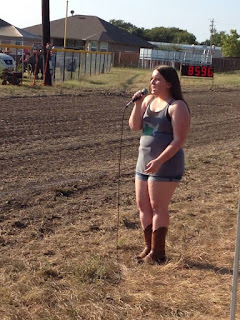 Opening ceremonies included an invocation by Arlen Foulks of Racers For Christ, followed by an outstanding performance of our National Anthem by Bailey Melvin. 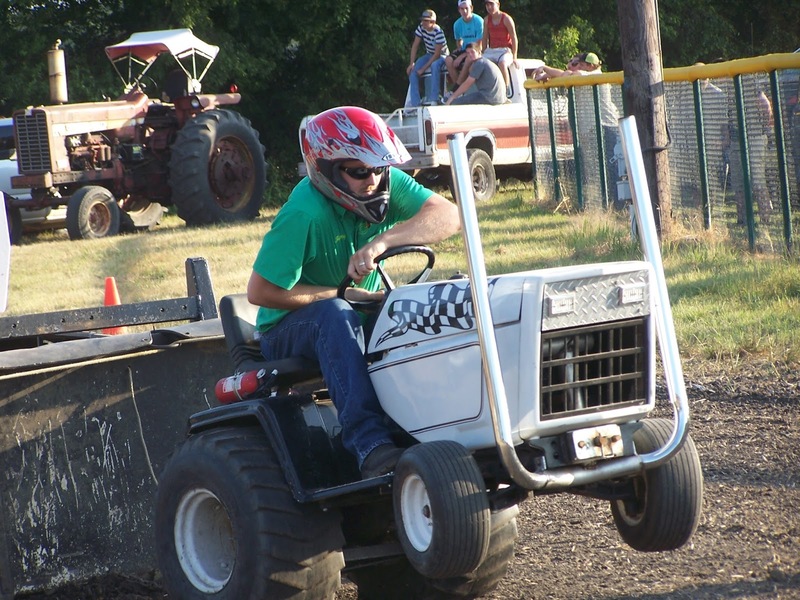 Youth Class pullers took to the sticky blackland track first on the evening, and saw Kody Langham emerge with the victory. 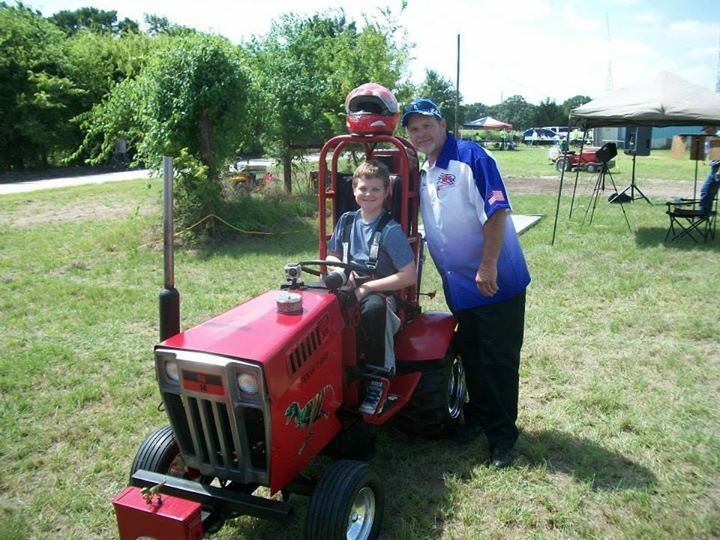 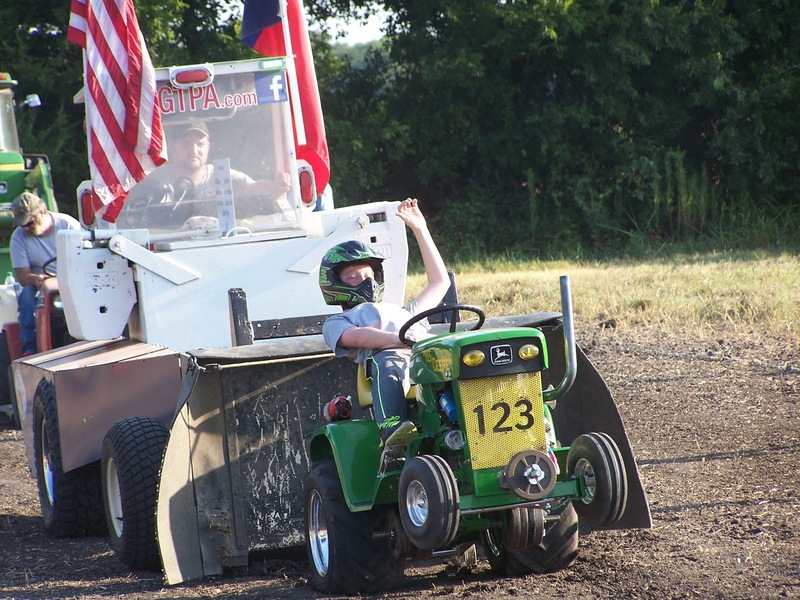 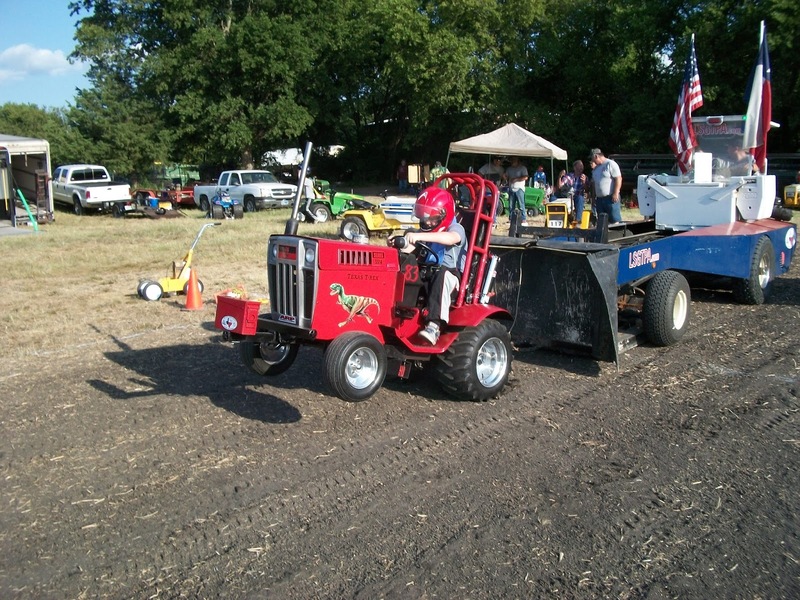 Mason Hovind took the runnerup position aboard the 'Yes Deere' tractor, while Lane Duncan finished on the podium in third place aboard his 'Texas T-Rex' tractor. 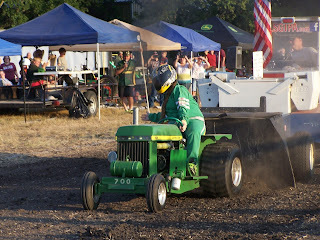 Jared Stephan piloted the 'Iron Head' tractor to fourth place. 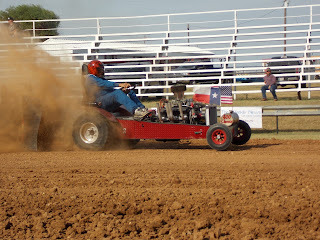 In Stock Class, Claude Lewis took the win with Steve McCarley posting a runnerup finish. Jimmy Helfferich scored a third place finish, with James Helfferich placing fourth. 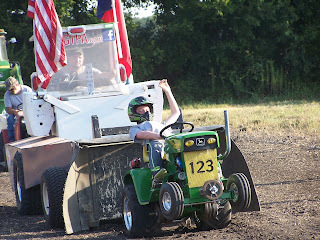 In the new Hot Stock Class, John Aufdenkamp took the win aboard the 'Rusteze' machine, with Aidan Hovind placing second aboard 'Yes Deere' for the Mean Green Pulling Team. 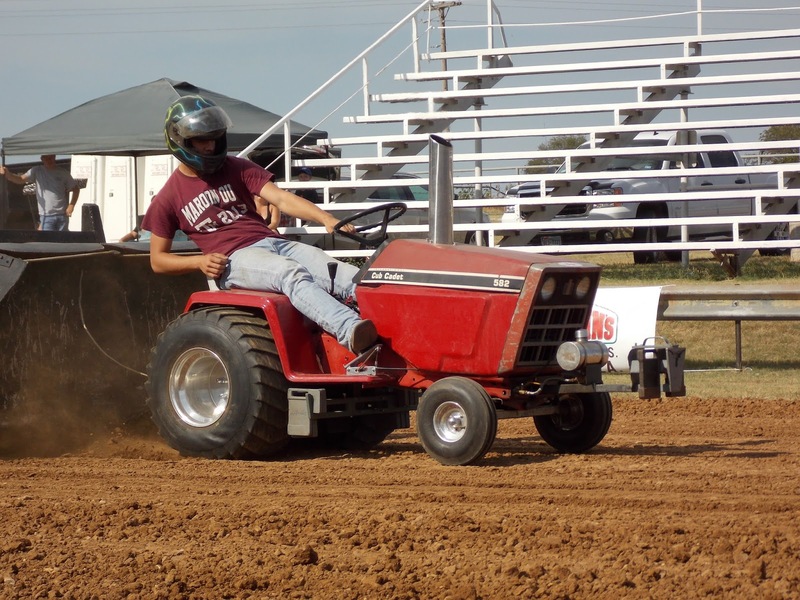 Kolby Langham placed his Bonham Service Center tractor in the top three. 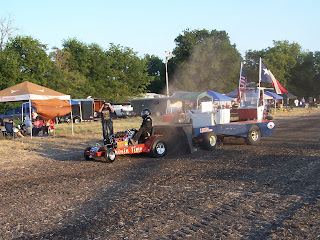 In Stock Diesel, Steve Hovind wheeled his beautiful new tractor to the top spot in the class, over Ken Langham Jr. In Big Stock Class, John Aufdenkamp used a Full Pull to post a win, with Kolby Langham scoring a runnerup finish. 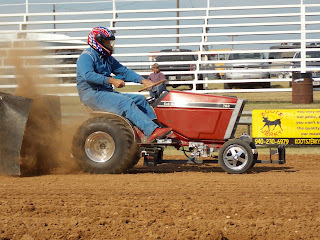 Jerry Toland wheeled his 'Triple Deuce' machine to a third place finish, with Jimmy Helfferich and Alton Degner rounding out the top five. 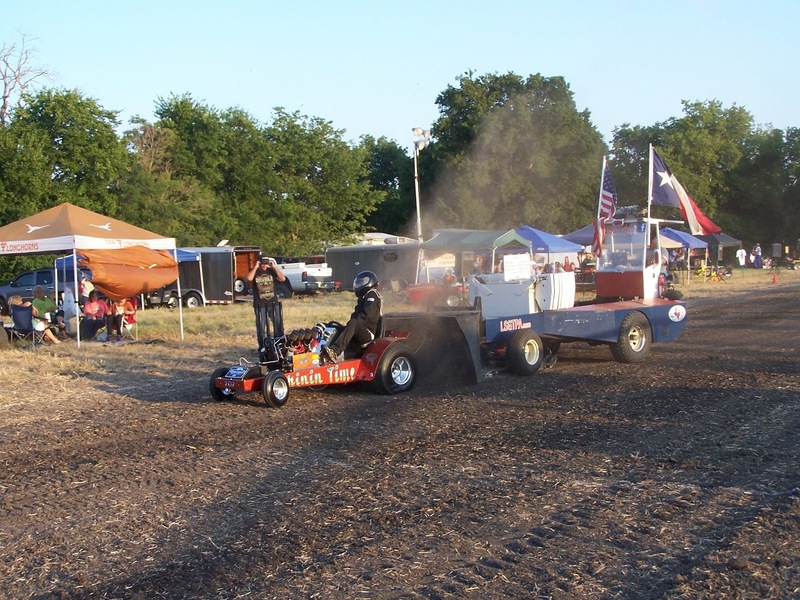 In Stock Altered, John Aufdenkamp scored the victory, with Michael Mayberry taking the runnerup position. 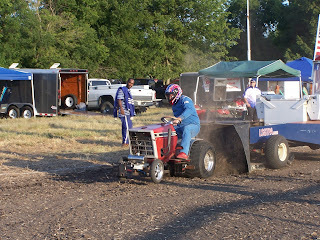 Big Bike Class tractors were led by Paul Smith aboard his 'Texan' tractor, with Steve Pierce scoring a runnerup finish after having mechanical issues with the 'Buzzards Roost' machine. The Mini Rod tractors put on a great show, with Jerry Toland taking the win aboard 'Shinin Time'. Colby Crowe wheeled the 'Weekend Warrior' machine to the runnerup spot, with Howard Houchen taking the 'Back In The Day' tractor to a third place finish. 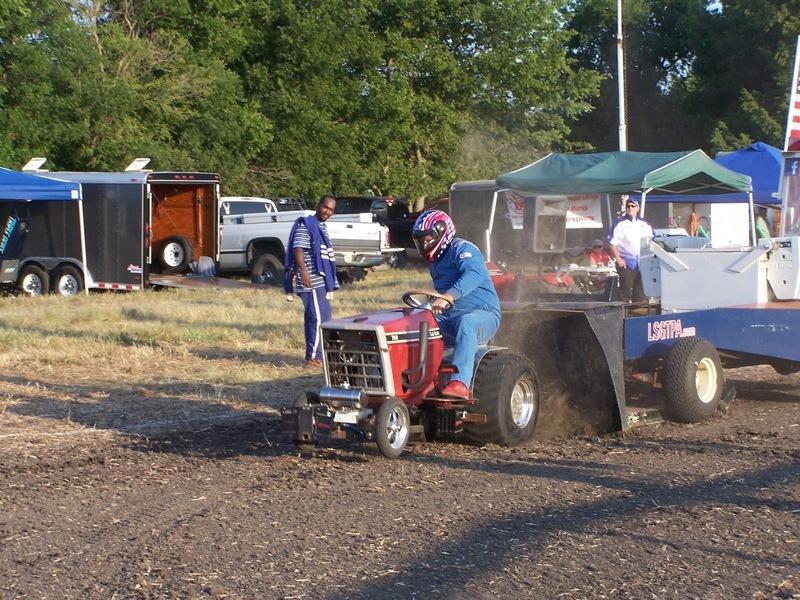 Sarah Crowe placed her '99% Moody' turbocharged machine in fourth, with David Houchen finishing in fifth. 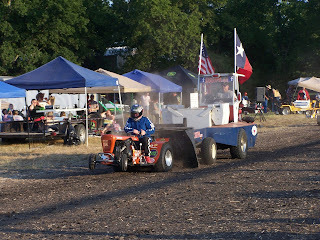 Super Rod Class tractors closed the show, with Ken Langham pulling to the victory aboard the Longhorn Express Pulling Team tractor. 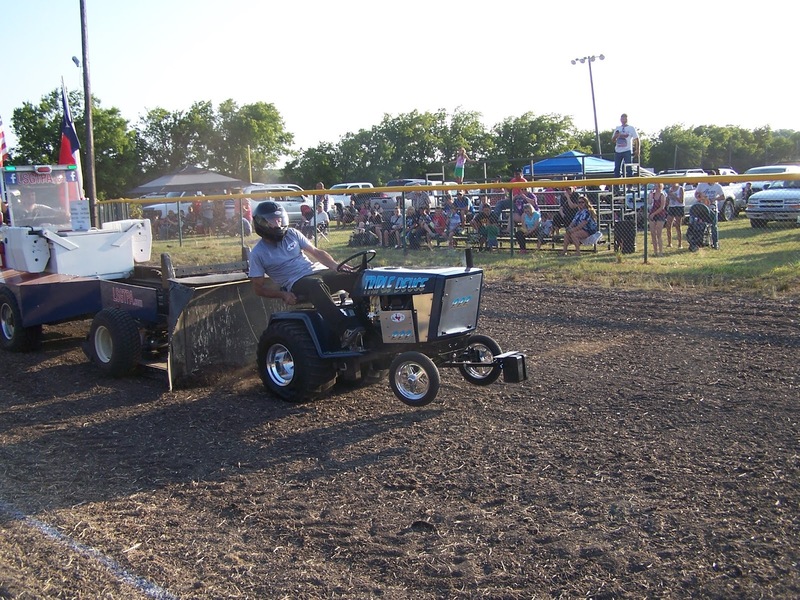 John Kiemele scored the runnerup, aboard his 'Dodge This' machine. Randell Moody rode the 'Ridge Runner' tractor to a top three finish, with Steve McCarley pulling to a fourth place finish on the night. 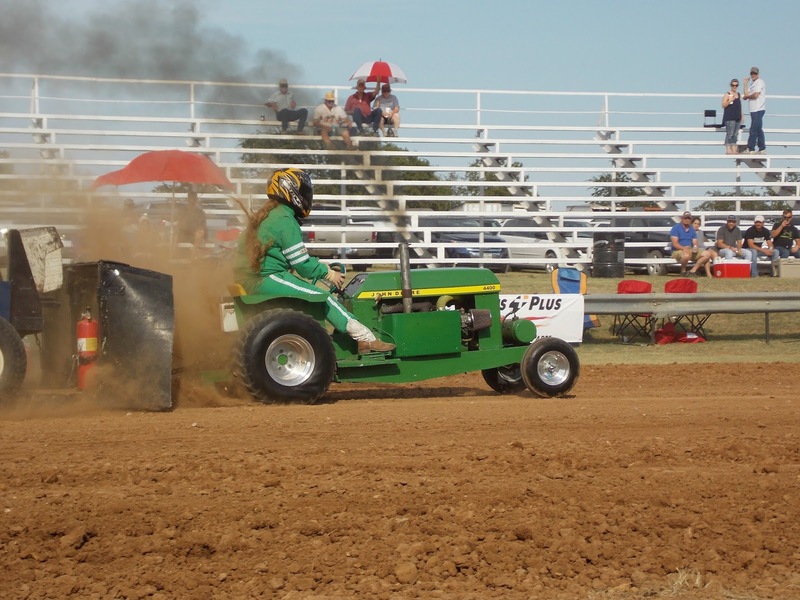 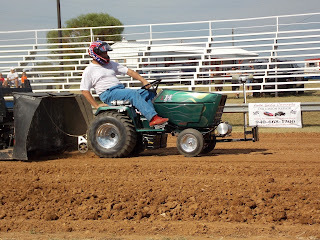 The LSGTPA tractor pulling teams will roll into Blue Ridge, Texas for the Bill Halter Memorial Tractor Pull on August 22nd. 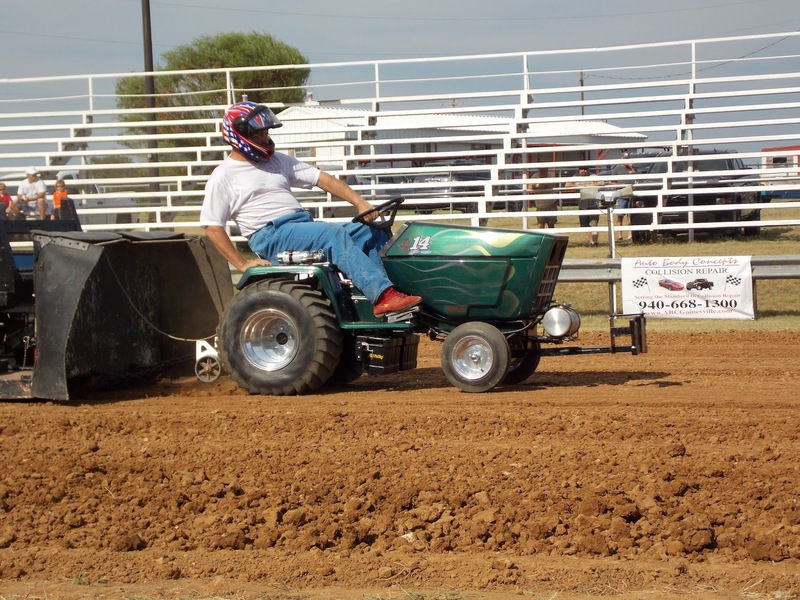 The Saturday night action is set for a 6pm start, and will feature two rounds of LSGTPA tractor pulling action. 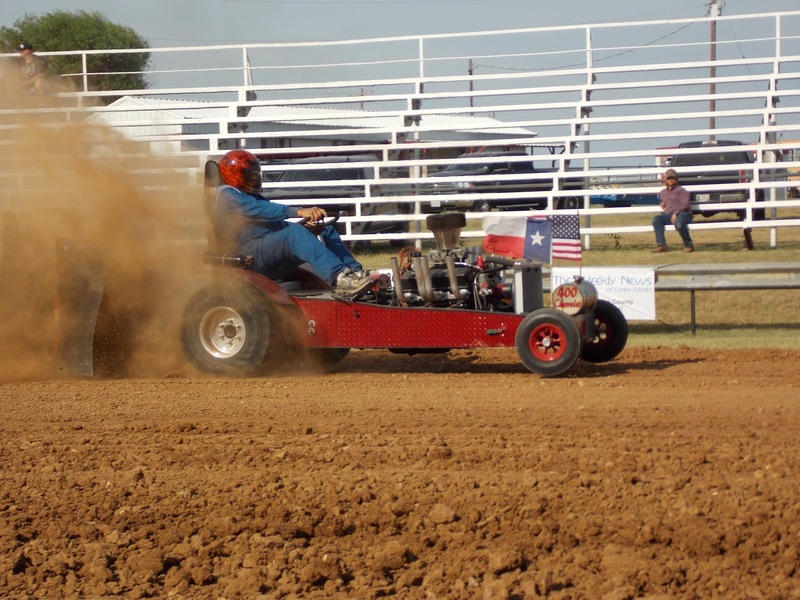 Opening ceremonies will include the Invocation by Arlen Foulks of Racers For Christ, and our National Anthem performance by Bailey Melvin. 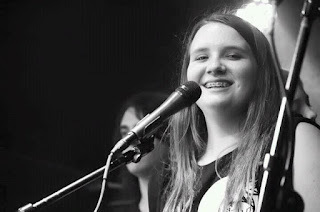 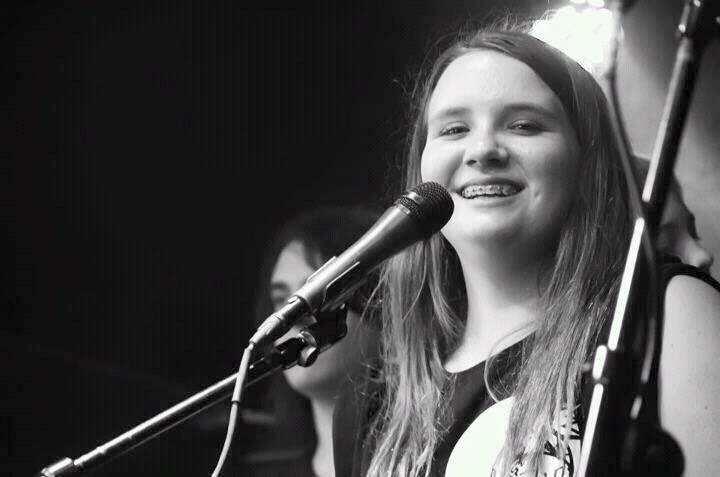 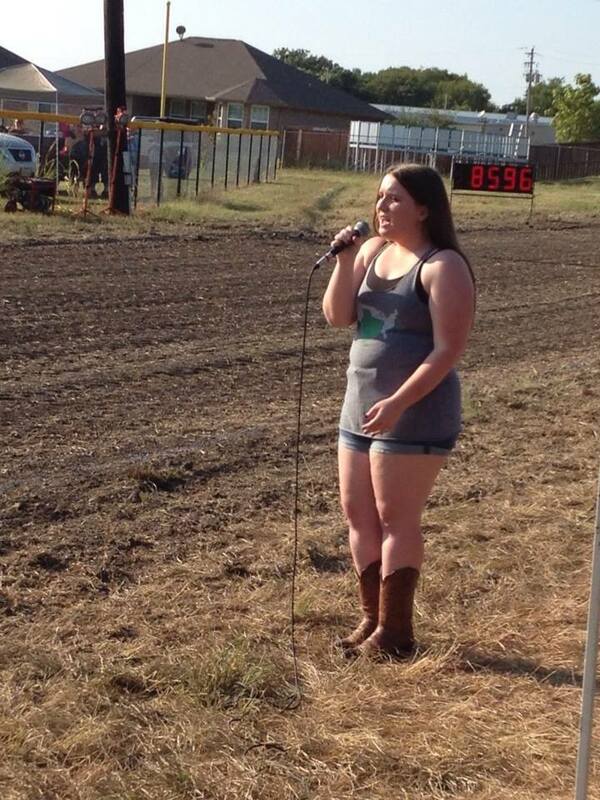 Bailey Melvin will perform the National Anthem, during the LSGTPA opening ceremonies at Blue Ridge. 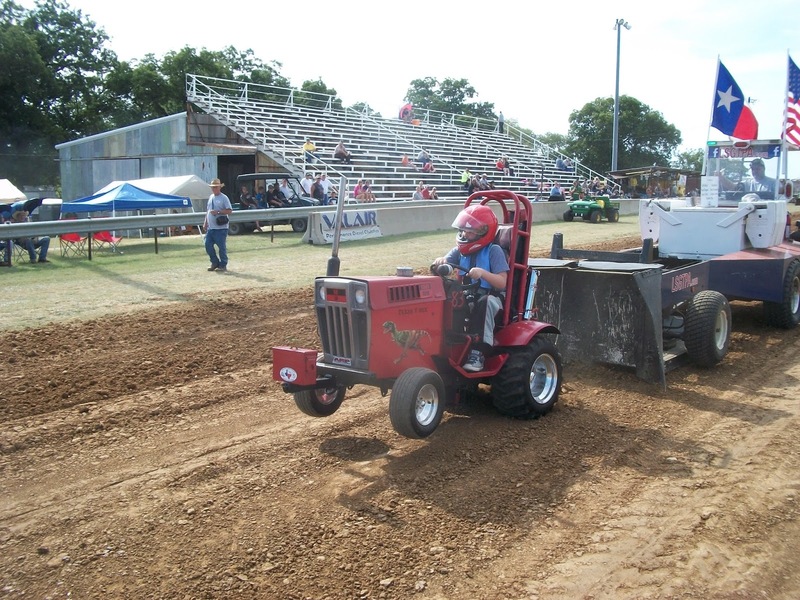 Arlen Foulks of Racers For Christ will deliver the Invocation at the Bill Halter Memorial Tractor Pull. The LSGTPA tractor pulling teams opened the show at the Lindsay Truck & Tractor Pull in fine fashion, as the pullers took to the well prepared track and provided great entertainment to warm up the crowd. 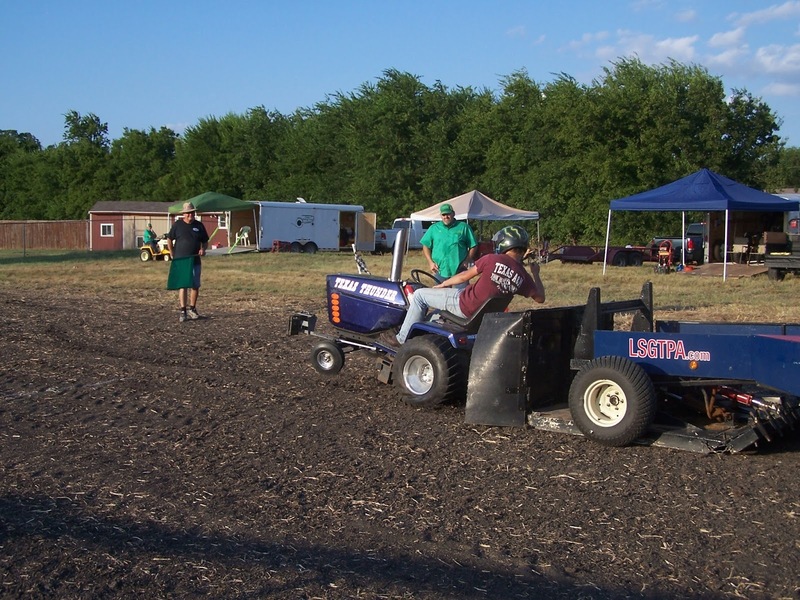 Teams participated in a Single Shot Shootout round of pulling, for a one shot pull on the 300 foot track. 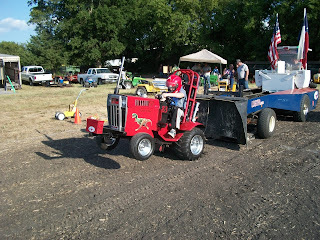 All of the teams competing turned in great performances, and then displayed their tractors and visited with fans throughout the evening event. 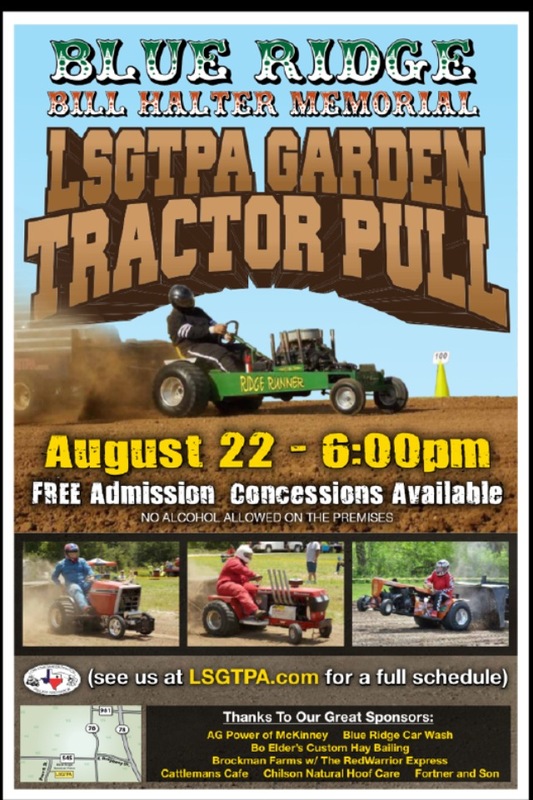 Future plans are for the LSGTPA teams to combine with the Lindsay Truck & Tractor Pull in 2016, to include an LSGTPA points event at the great facility.